By Ben Dickson. This article originally appeared here. What I’m mentioning a lot these days (and hearing about it as well) is the chaotic propagation and growth of the Internet of Things. With billions of devices slated to connect to the internet every year, we’re going to be facing some serious challenges. I’ve already discussed howblockchain technology might address connectivity issues for huge IoT ecosystems. But connectivity accounts for a small part of the problems we’ll be facing. Another challenge will be processing and making sense of the huge reams of data that IoT devices are generating. Close on its heels will be the issue of latency or how fast an IoT system can react to events. And as always, security and privacy issues will remain one of the top items in the IoT challenge list. 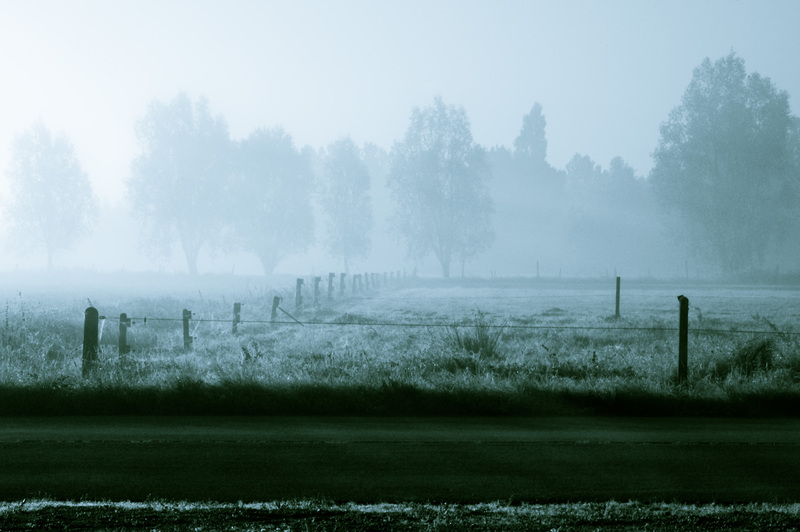 Fog computing (aka edge computing) can help mitigate – if not overcome – these challenges. As opposed to the cloud, where all the computation takes place in a central location, fog computing pushes the computation of tasks toward the edge of the network and distributes it among smart routers or gateways. The term and concept was coined by networking giant Cisco even before the IoT became a buzzword, but it was the advent of the Internet of Things that provided it with true, legitimate use cases. Here are some of the domains where cloud computing can deal with the challenges of IoT. Naturally, computation problems will be one of the main reasons we’ll descend from the cloud and wade into the fog. A problem lying ahead of us is the sheer amount of computation and data processing that IoT ecosystems will require. With Machine-to-Machine (M2M) communications accounting for most of exchanges in IoT ecosystems, the amount of traffic that will be generated will be incomparable to what we’re used to deal with in human-machine settings. Pushing all of these tasks to the cloud will overburden centralized computation nodes and require bigger and stronger cloud servers. The cloud is best known for its huge storage and analytics capacities. Meanwhile, many of the tasks and events that take place in IoT ecosystems do not require such capabilities and sending them to the cloud will be a waste of precious resources and will only bog down servers and prevent them from performing their more critical duties. Fog computing can address this issue. Small computational tasks can be performed at the edge (IoT gateways and routers), while valuable data can continue to be pushed to the cloud. This way, precious cloud resources for can be saved for more suitable tasks such as big data analysis and pattern recognition. Reciprocally, functionality and policies of edge devices can be altered and updated based on insights gained from cloud analytics. This model will also help address response time and latency issues, which is discussed next. Rather than requiring huge computational resources, many of the transactions and decisions being made in IoT systems are time-critical. Imagine a telemedicine scenario, or an IoT-powered hospital, where seconds and milliseconds can make a difference for patients’ health or life. The same can be said in industrial settings and work areas, where quick response can prevent or mitigate damage and safety issues. A simpler example would be parking lights that would have to respond to passage of cars and pedestrians, but must do so in a timely fashion. Other settings that require large bandwidth, such as IoT ecosystems involving many CCTV cameras, would also be hard to deploy in environments that have limited connectivity if they rely on cloud computation. In many cases, it’s funny (and outright ridiculous) that two devices that stand a few feet apart have to go through the internet and the cloud to exchange simple messages. It’s even more ridiculous having to cope with the fact that your fridge and toaster don’t work because they’re disconnected from the internet. A roundtrip to the cloud can sometimes take seconds – or even minutes, in poorly connected areas – which is more than can be afforded in many of these scenarios. Meanwhile, at the edge, IoT ecosystems can make decisions at the speed of lightning, making sure that everything gets responded to in time. A study by IDC Futurescape shows that by 2018, some 40 percent of IoT-created data will be stored, analyzed and processed at the edge. As Phantom CEO Ken Tola mentioned in a previous post, encryption isn’t panacea to IoT security problems. And as a study by LGS Innovations told us earlier, hackers don’t necessarily need to crack into your encrypted communications in order to carry out their evil deeds. In fact, just eavesdropping on your IoT internet traffic – whether it’s encrypted or not – will provide malicious actors with plenty of useful information, e.g. give away your living habits. Moreover, some forms of attacks, such as replay attacks, don’t require the attacker to have access to encryption keys. All they need to do is to replicate packets that are being exchanged on the network. For instance, with a good bit of network monitoring, an attacker might figure out which sequence of packets unlocks your home’s smart-lock. Of course, there are ways to mitigate each of these threats, but robust security practices aren’t the greatest strength of IoT device manufacturers, and that’s why we’re seeing all thesespooky IoT hacks surface every week. Fog computing will reduce many of these risks by considerably decreasing the amount of dependency on internet connections. Moving data and command exchange into the local area network will make it much harder for hackers to gain remote access to your data and devices. Moreover, with device-cloud exchanges no longer happening in real-time, it will be much harder to discern life and usage patterns by eavesdropping on your network. Despite all the mentioned advantages, fog computing does have its own set of caveats and difficulties. For one thing, edge devices can’t match the power of cloud in computing and analytics. This issue can be addressed by distributing the workload between the cloud and the fog. Edge devices such as smart routers and gateways can mimic cloud capabilities at the edge location, making optimal use of their resources to respond to time-critical and lightweight tasks, while the heavier, analytics-intensive requests that don’t necessarily need to be carried out in real-time can be sent to the cloud. Meanwhile, edge software should be designed and developed with flexibility in mind. For instance, IoT gateway software that controls industrial equipment should be able to receive policy and function updates, which will be produced by machine learning solutions analyzing big data at the cloud.